IGM Library (UoH) | Hub of Information resources, services and tools. Hub of Information resources, services and tools. 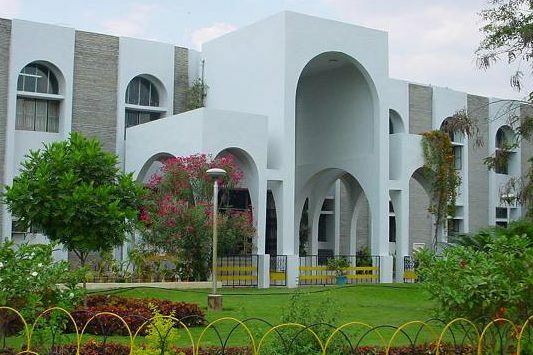 The Centre for Distance and Virtual Learning (CDVL), University of Hyderabad is inviting applications for the various Post Graduate Diploma Programmes offered through distance mode. All the courses are approved by the UGC/AICTE/DEC joint committee. These courses include one year duration programmes offered in Business Management, Project Management, Cyber Laws, Forensic Science, Chemical Analysis, Human Rights, Library Automation Networking, Communicative English, and Energy Management. For further details and Prospectus can be downloaded from the website, the registration fee would be Rs.300/- Completed applications should be sent to “The Assistant Registrar, Centre for Distance Education, University of Hyderabad, Golden threshold Building, Abids, Nampally Station Road, Hyderabad-500001”. The details about the courses are available in the Website: http://www.uohyd.ac.in Online submission and online payment is available in the website. For further details you may contact the following phone numbers to be contacted are: 040-24600264/040-24600265 mobile No. :8897436905 Last Date for submission of Application is 31st January, 2019. This entry was posted in Uncategorized on December 14, 2018 by IGM Library (UoH). International Conference (I-KOAL-2018) on “Participation of Academic Libraries in Knowledge Economy” on 26th & 27th November 2018 organized by IGM Library, University of Hyderabad, Hyderabad in collaboration with Library Professional Association (LPA), New Delhi. This entry was posted in Uncategorized on November 1, 2018 by IGM Library (UoH). UGC has published the Regulations, 2018 on – Promotion of Academic Integrity and Prevention of Plagiarism in Higher Educational Institutions. This entry was posted in Uncategorized on September 5, 2017 by IGM Library (UoH). University of Hyderabad received 2016 Highest Usage Award for ACS Chemistry for Life (American Chemical Society) under eShodh Sindhu Consortium. The award was presented at 11th International CALIBER 2017, jointly organized by the INFLIBNET Centre, Ahemedabad and Anna University, Chennai (August 2-4, 2017). Balani Infotech has presented the award for ACS. Dr. N. Varatharajan, University Librarian, IGM Library received the award on behalf of the University on August 3, 2017. This entry was posted in Uncategorized on August 9, 2017 by VJ Suseela. The UGC-approved List of Journals includes Journals covered in i) Web of Science; ii) Scopus; iii) Journals recommended by the Standing Committee on Notification on Journal and Language Committee; and iv) Journal recommended by Universities; A note on scope, coverage and methodology used for compiling UGC-approved List of Journals is available athttps://www.ugc.ac.in/journallist/methodology.pdf. This entry was posted in Uncategorized on July 31, 2017 by IGM Library (UoH). Apart from group emails, , website, we are initiating another online communication mechanism to keep you posting with useful news about information tools/products, resources, services. We expect feedback and constructive suggestions from you to enhance the quality of services and resources in Library. This entry was posted in Uncategorized on July 28, 2017 by IGM Library (UoH).